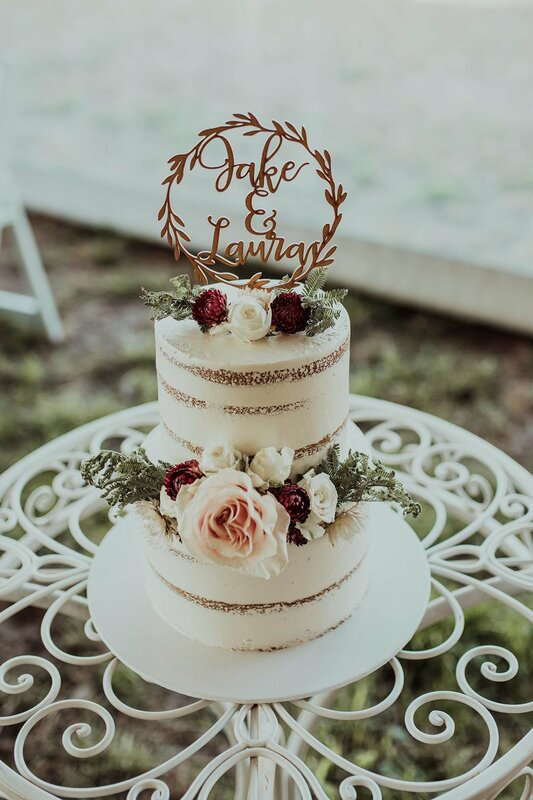 For Laura & Jake, planning their wedding was a breeze, and they feel like everything just fell into place. They attribute a big part of this to the people they chose to work with. They chose St Bees to cater for their wedding, after never tasting any of their food, but hearing good things. After the wedding, everyone they spoke to praised the food. The amount of it, the taste of it, the overall love for it. It was simply delicious! The newlyweds wanted their music to create the mood for day, so they had an acoustic guitarist, Dean Outtram, playing while people were mingling and the bridal party was off getting photos. For the reception they had DJ Scott Agnew. He played whatever they wanted, classics and bangers, he had it covered. For their photography and videography they had the dream team, Joel Noon from White Rabbit Productions and Astyn Reid from Kinship Productions. Laura & Jake loved every minute with these guys. They felt as if they were part of the bridal party, laughing, joking and having fun with them though the whole process. Jen Buchanan was the celebrant, who is also family. They met with Jen a few months before the wedding and from this meeting she created the perfect ceremony and ‘story’ that they could have imagined. It was beautifully personalised and captured the feel of their whole day. Crystal from Cake Me made the wedding cake and they were still relishing over it 3 days after the wedding. It was a vanilla mudcake with chocolate hazelnut butter cream. Decorated with some flowers, it looked incredible. 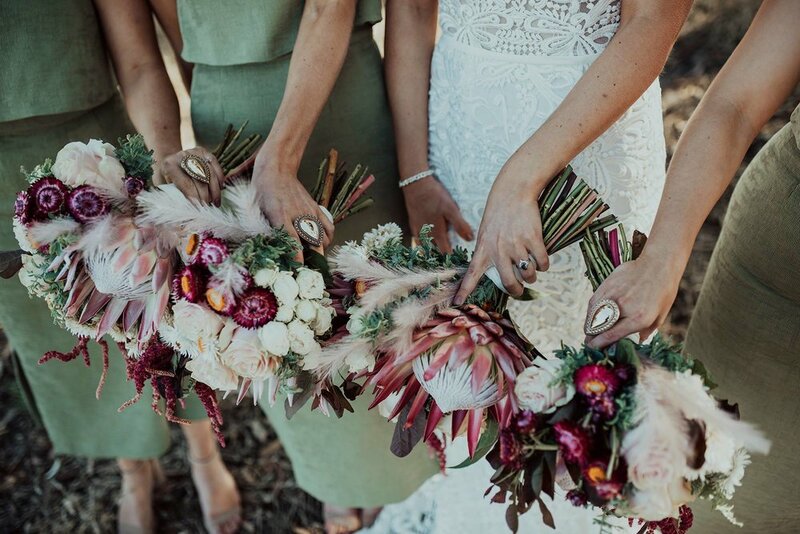 April Von Duve, a close friend, did all of the florals for the big day. 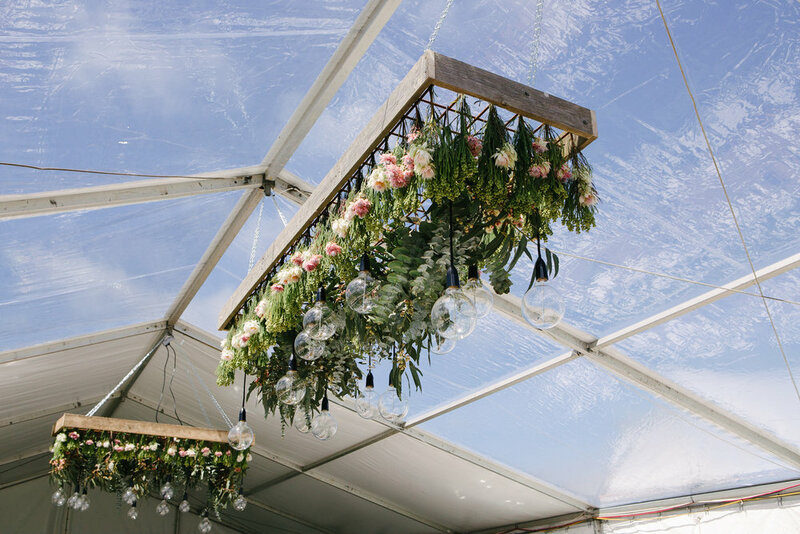 She made hanging arrangements for the marquee from gum leaves and pampas grass. They were huge and finished the space off perfectly. She also made arrangements for the arbour and photo board, which Laura says looked like they were out of a magazine. Tess Holmes from Tess Holmes Make Up and Toni Scott from Dash Hair Artistry were in charge of making Laura and the bridesmaids look their best. Laura loved the way Tess makes her clients look like they have beautiful, glowing skin. Toni did a stellar job, and just went with the flow on the day. A note from the Bride & Groom: We can’t thank Grand Events Hire and Styling enough for all that they did for our wedding day. They had everything covered from the get-go, giving us quotes, floor plans, photos and suggestions along the way. When Jess came to our farm to do a site inspection we knew we had made the right choice; she was so professional and thought of everything, we knew she had it covered. The communication with Sandra and Jess was flawless and they made everything seem easy and accommodated everything we asked for, as well as anything that we thought of last minute. We were so impressed with the efficiency of the setting up team, everything was up in a matter of hours and they kept checking in with us to make sure it was set up as we had imagined. I would recommend Grand Events Hire & Styling to anyone, they are hugely professional but have the family business feel that makes the whole experience warming. We’ve been wanting to share Rachel & Tom’s wedding with you for a while, and now that the wedding season has ended we have found time to compile these beautiful photos by @shereeduboisphotography and share them with you. After Tom’s romantic proposal to Rachel at Middle Island in Warrnambool, with their gorgeous son Oliver holding the ring, it was time for Rachel to begin planning her dream wedding. 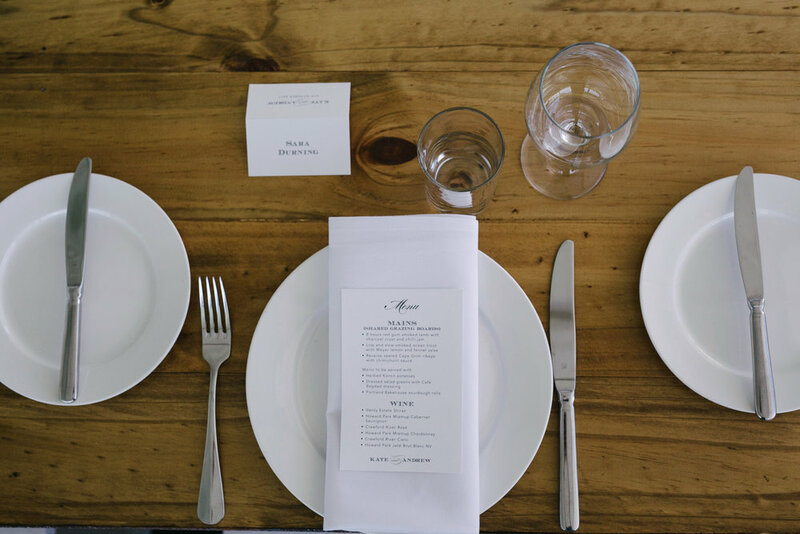 Rachel wanted a formal yet relaxed garden wedding, and loved designing and being creative, so the whole wedding planning gig was a breeze for her. Rachel & Tom were the first to hire our brand new Peg & Pole marquee. With its traditional peaked roof, wooden upright poles and elegant roof & wall fabric, it sure was an exquisite marquee in this setting at the Warrnambool Botanic Gardens. The happy couple loved absolutely everything about their day. The weather, the band, the marquee, the flowers, the food, everything was perfect! They were particularly impressed with their band The Baker Boys who Rachel said “absolutely made the night”. Rachel & Tom - We wish you all the best in your marriage and thank you for being such awesome customers! We were pretty chuffed when we received these beautiful photos of Kate & Andrew’s wedding, our first wedding for the season this year! 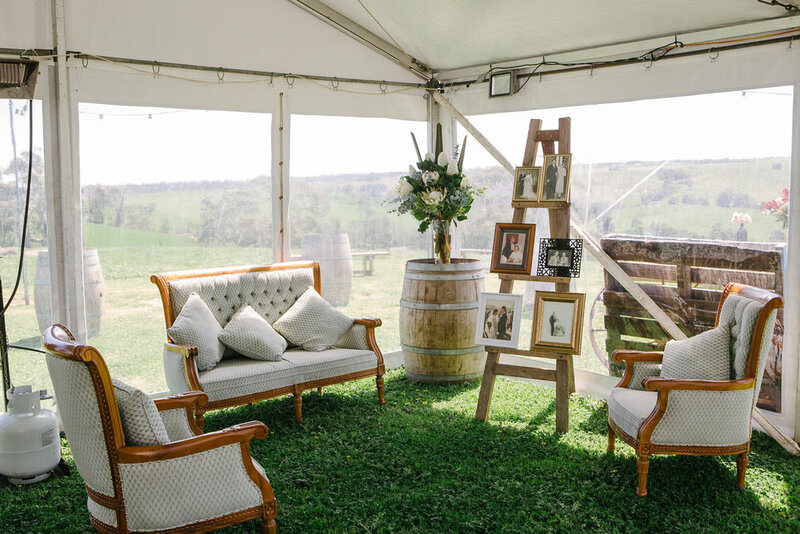 The wedding marquee was positioned on in the side of a hill, in the middle of a paddock, at the Blair Athol property in Nareen, Victoria. With no running water or power it was a bit of effort to pull it together but the views from the marquee were stunning. With the majority of their guests traveling decent distances to be a part of their day, who had never seen that part of the world before, it was well worth it. Kate & Andrew were married in the same church that Kate’s parents were married in, a private little chapel in the hills. Kate wore her Grandmother’s wedding dress for the first part of the day. It was a lot of work to get it cleaned and restored but she said that it was so incredible to wear. The top part of the dress had to be remade by her dressmaker (Maree Ozer at Stiches to Style in High St Armadale). Kate also surprised Andrew by organising two of their friends to sing his favourite song when she walked down the aisle. They had drinks in the churchyard afterwards and then all of their guests were bussed back to Kate's family farm at Nareen. Kate & Andrew - We loved being a part of your beautiful day, thank you so much for sharing these photos with us. We wish you all the best in your new life together as husband and wife.